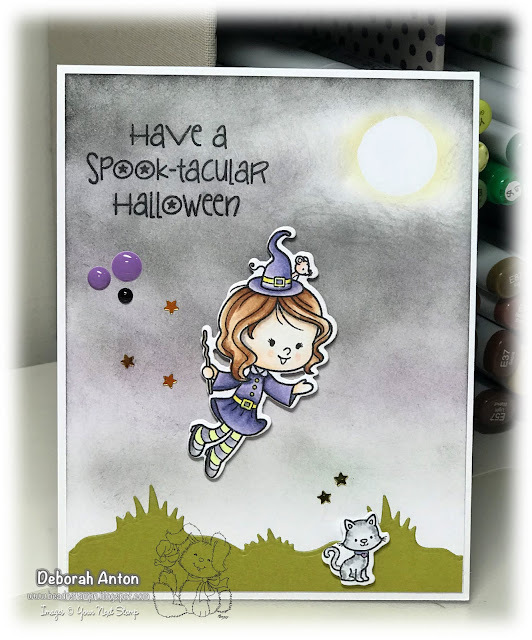 It's time for the spooktacular release from The Cat's Pajamas Stamps! This months release is perfect to jumpstart your holiday project making with a little Autumn and a little Christmas! If you hopped over here from the fabulous Brenda's blog, you are in the right place. 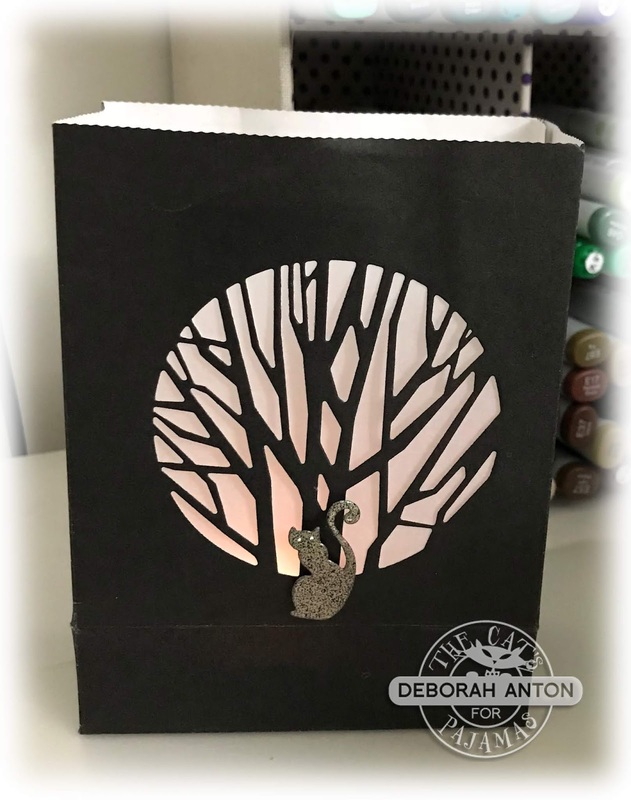 My first project to share with you is a votive holder made from a gift bag. 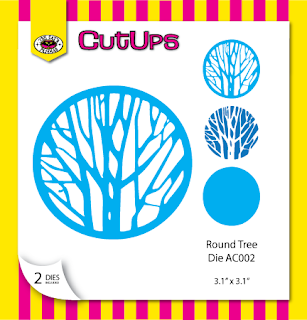 In order to achieve the cut out on just one side of the bag, I took it apart carefully to die cut the desired side and then put the bag back together again. 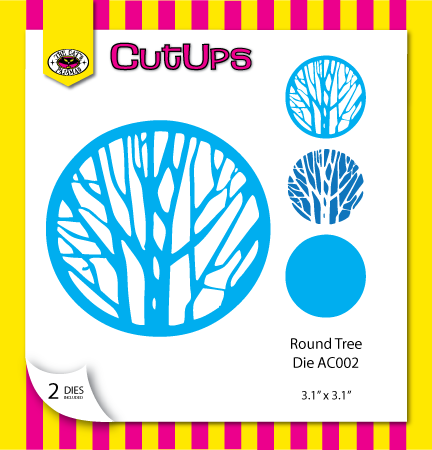 I used the new Round Tree die utilizing only the inset of the two pieces. Once that was cut, I placed a piece of vellum to the backside to give it a subdued glow with the votive. 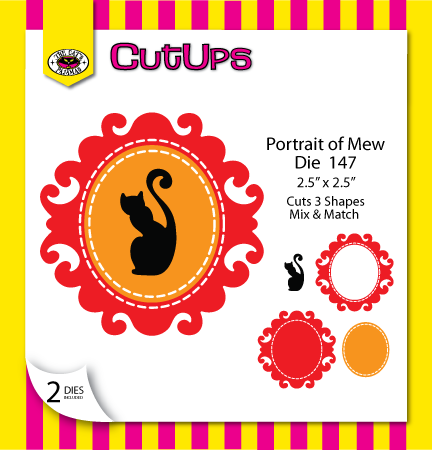 For a finishing touch, I cut out and popped up the cat from the new Portrait of Mew which I heat embossed a mixture of sparkle and Platinum. For my card, I am using the new Better Not Pout set and the frame from the die set of Portrait of Mew. I colored in the image with Copics before fussy cutting him out to be popped up over the strip of patterned paper and the TCP eyelet border cut out. I stamped the sentiment in the frame and popped up the frame cut out. The card with finished with a few enamel drops. I hope you all had a great chance to see all the fun sneaky peeks this week and have your list ready to get all your favorites! Be sure to hop on over the to talented Lynn to see her awesome projects! 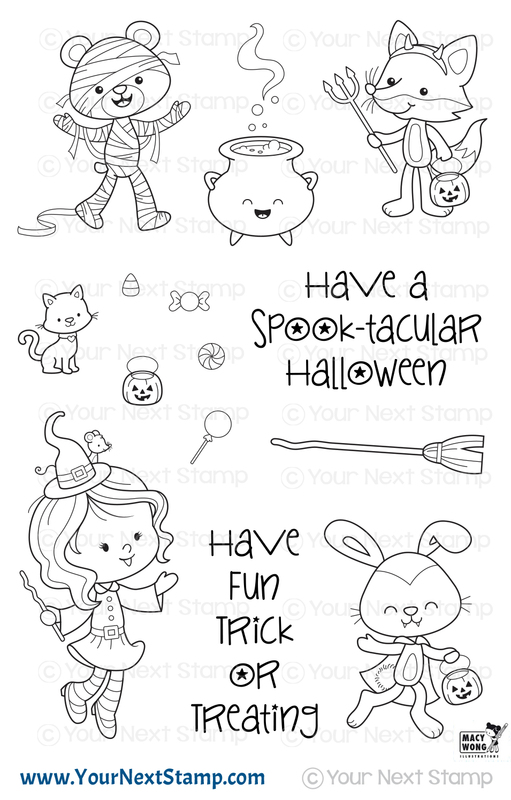 Fall is just around the corner and Your Next Stamp has a perfect challenge to get your mojo flowing. 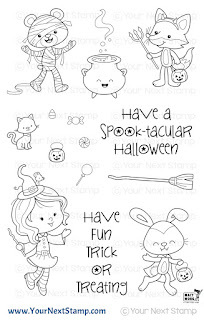 The DT has come together to share with you some projects with a fall theme. 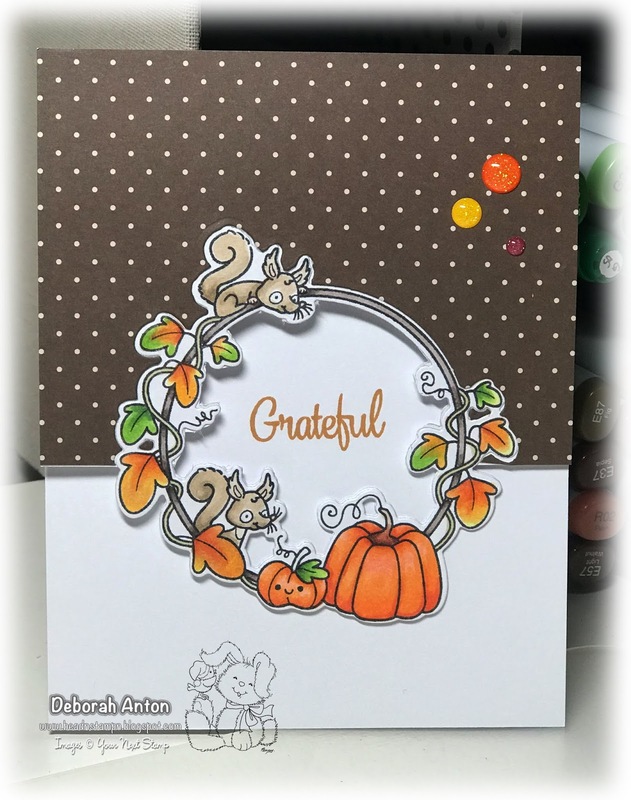 For my card, I am using the newly released set of Autumn Wreaths to create a 'Thankful' card. A CAS card featuring the cornstalks from the set along with the Rounded Corner Square die set with piercing marks as the background frame. A few more stalks were cut out with the coordinating die set to be popped up out front. I finished the card with a few Carrot Cake gumdrops as an added touch. Be sure to stop by the YNS Blog to see all the creations and leave a little love for your chance to win! 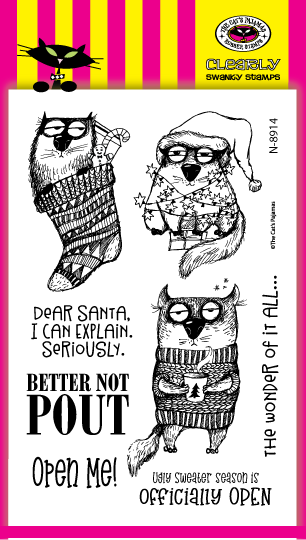 It's Sneaky Peek week for The Cat's Pajamas Stamps September new release! This is a fabulous release for Autumn and perfect to get you in the spirit for Halloween. 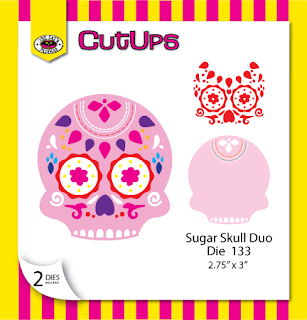 I couldn't resist using the new Cut Up for my sneaky peek called Sugar Skull Duo. How fun is this die? 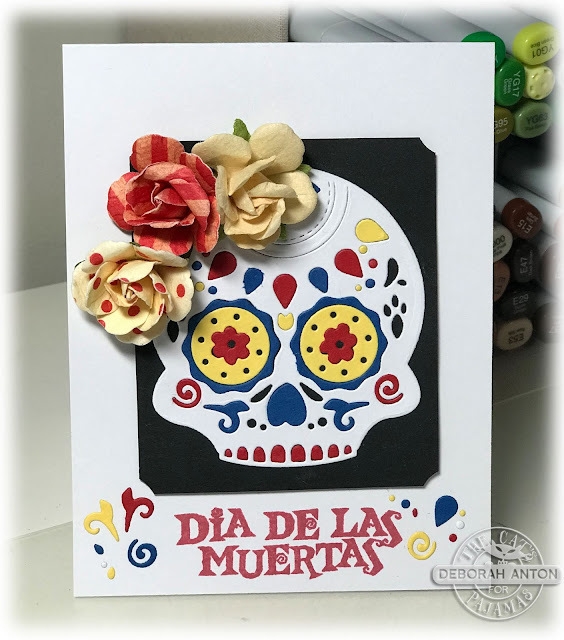 I had fun putting together the skull in various colors and adding those fun paper flowers at the top. 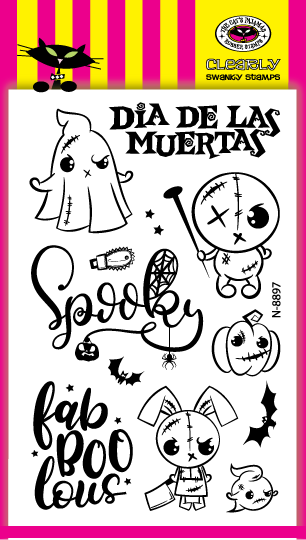 The sentiment is from the soon to be released set of Faboolous which is a perfect sentiment to go along with this skull. For the finishing touches, I used some of the leftover die cut bits to add on the sides of the sentiment. Don't forget to leave a little love this week on either the blog post or Instagram page of the Cat Packs' sneaky peek. 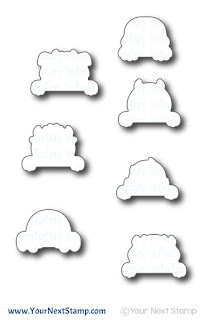 A random winner will be chosen from the comments during the week to win a TCP Store gift certificate. Good luck! 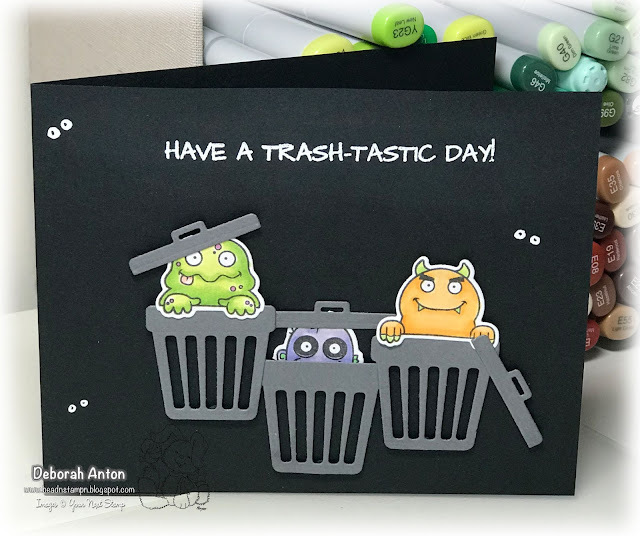 The time has come for the Your Next Stamp September new release and blog hop! 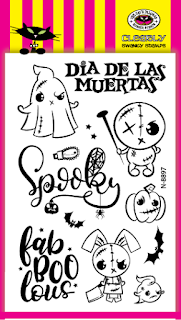 This release is sure to get you into the fall season and ready for some spooktacular projects using some of these fabulous releases. For my first card, I am using the new set of Trick or Treat. This set is darling and will sure to make a little one smile if you were to give them a little surprise with it. I sponged the background to mimic a night sky and moon. 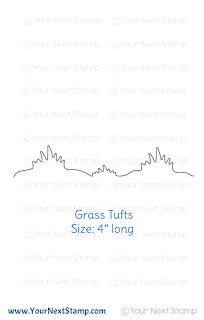 I added the new Grass Tufts die cutout at the bottom before adding the colored images cut out with the coordinating dies to the colored panel. 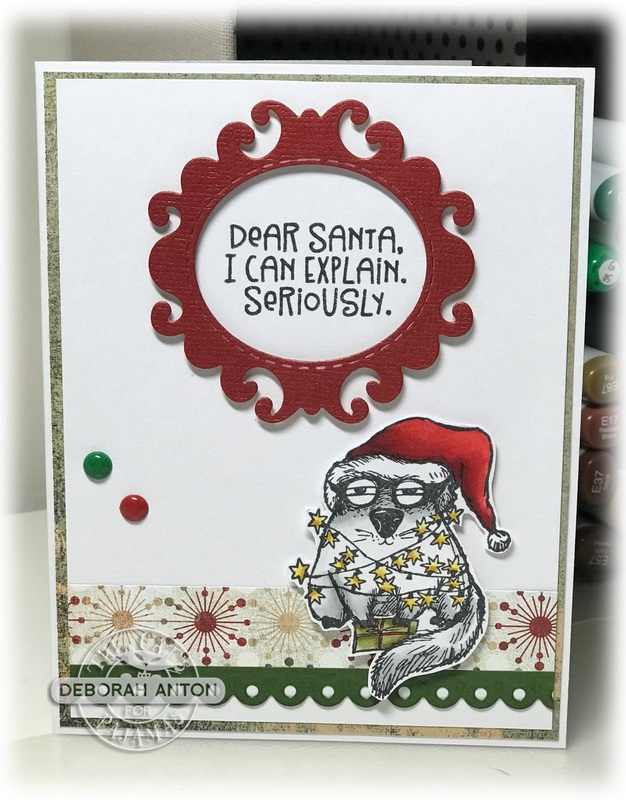 The images are popped up while the sentiment was stamped directly onto the base and finished with a few gumdrops and star sequins. 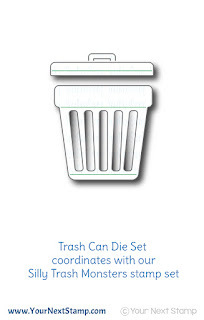 My second card is simple and fun using the new Silly Trash Monsters. 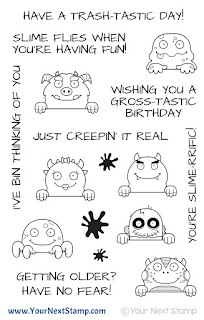 Perfect for a 10-minute card if you need one. 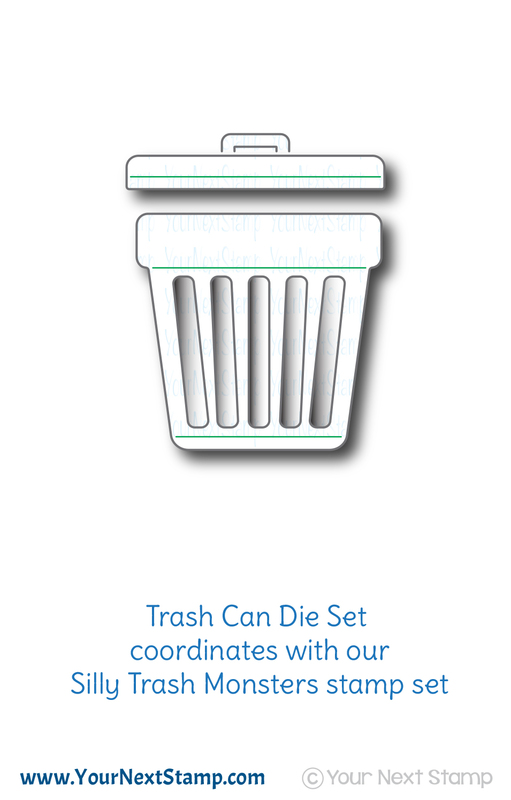 I used a black cardstock base and cut out three trashcans to pop up from the new trash can die set. 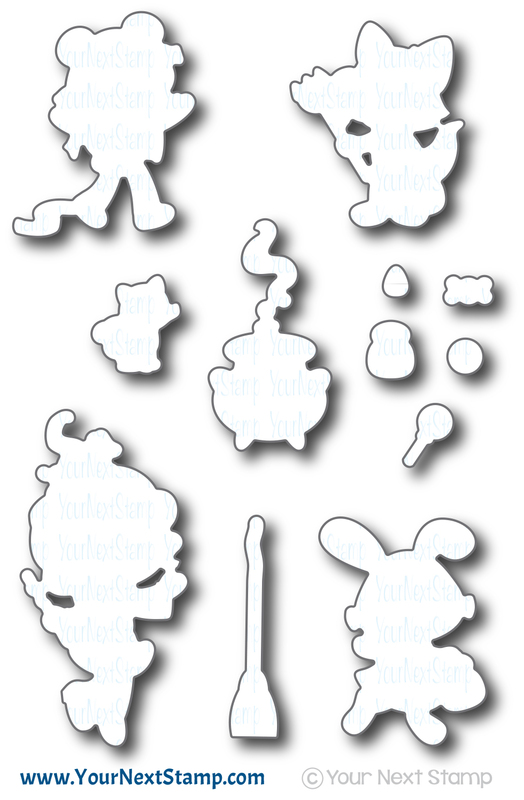 The faces were added to each one and I added the lid in different positions for a fun look. The sentiment was heat embossed onto the main card and finished with a few "eyes" looking at you drawn in with my white gel pen. As always, Karen has a generous sale to offer you so that you can get everything on your list! 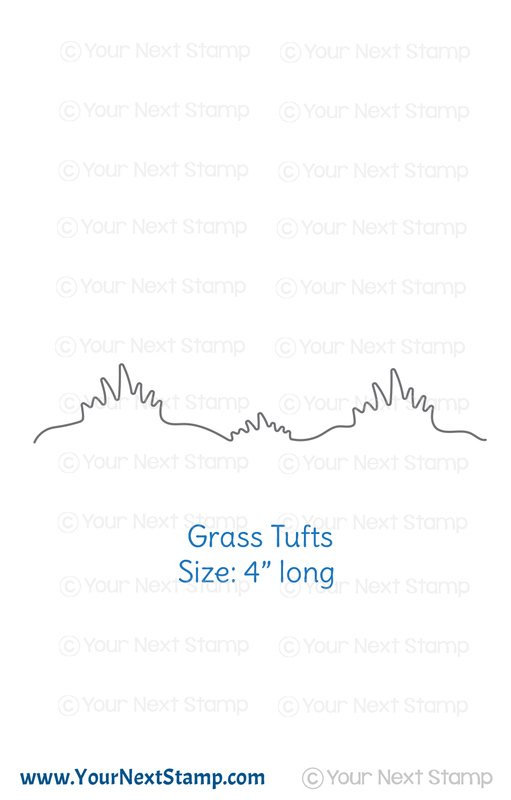 It's time to not only get ready for Autumn, but it's time for the Your Next Stamp September release sneak peek! I am sure some of you are actually gearing for the upcoming hurricane and I hope you all stay safe! 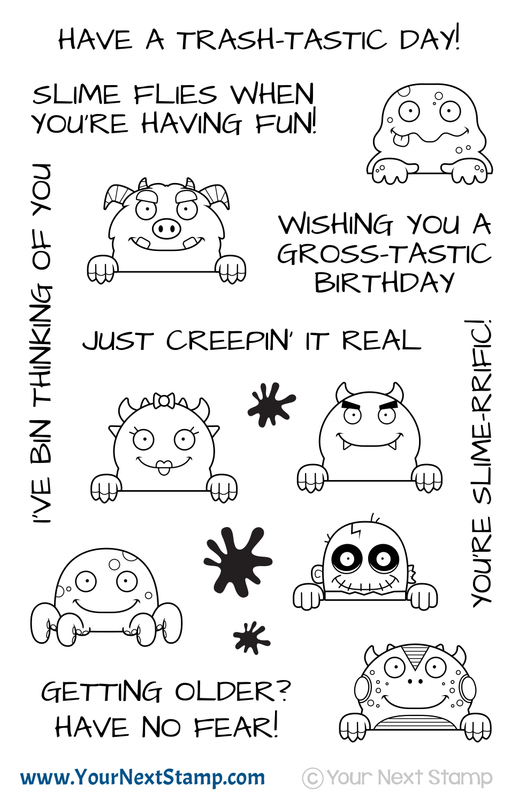 In the meantime, get your mind off that and take a peek at the cuteness for this newest release. For my sneak, I am using the new set of Autumn Wreaths. 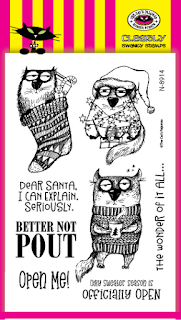 This is super cute and perfect for the season. 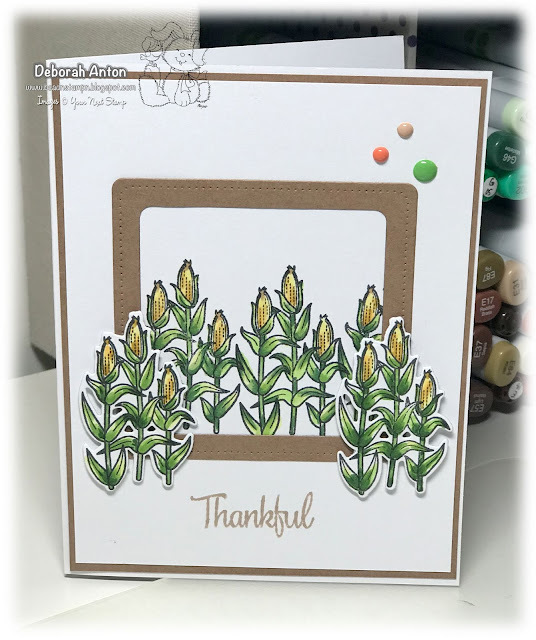 I decided on a partial cut fold for the card using the coordinating die for a different look and feel to the standard card. Using some of the YNS Fabulous Fall paper pack for the top half of the card before adding the cut out of the image. 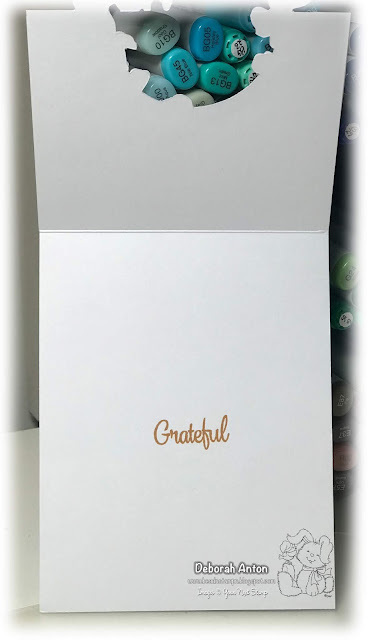 The sentiment will still be visible when the card is open and you will have space to write your own personal message. The card was finished with a few gumdrops for added sparkle. Be sure to head to the YNS Blog to see all the fabulous sneak peeks and check back tomorrow to grab all your favorites when the release goes live! Thanks for stopping in and taking a peek!